New measures designed to ease the Bankruptcy procedures on those affected by it have recently been announced by the Irish Government. If an applicant meets the required criteria for the Debt Relief Certificate they will see all of their debts frozen for one year. If the applicant is still unable to pay after this period expires, debts that qualify are written off. Some of the criteria required to qualify include having unsecured Debts of €20,000 or less, not owning a house, not having any assets worth more than €400 (with the exception of a car to the value of €1,200) and a net monthly disposable income of no more than €60. 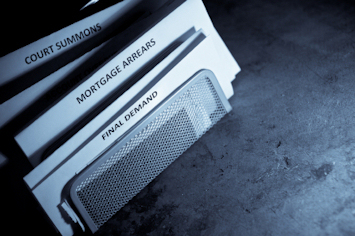 An application for a Debt Settlement Arrangement can be made where unsecured debt is €20,001 or more. If successful, the applicant may apply for the Relief Certificate while the DSA is being prepared. Under this scheme Creditors will be sent a payment arrangement offer to be paid over a five year period. This payment will only be a percentage of what is actually owed. To qualify the individual must secure the support of 65% of Creditors (in terms of value). This option applies to applicants with a combination of secured and unsecured debts which are greater than €20,000 but below €3m. Unsecured creditors are offered an agreed percentage of what they are owed and an offer to pay this over a set period is made. To qualify for a PIA, the applicant must have the support of at least 65% of Creditors - 75% of Secured Creditors and 55% of Unsecured Creditors (in terms of value). The PIA will normally run for 6 years. This is the final option announced under the Bill for personal insolvency applicants. In this case, if an applicant owes less than €20,000, a creditor will not be able to petition a court for bankruptcy. If an application for bankruptcy is granted, all of the assets of the applicant will fall under the control of an Official Assignee. After three years an automatic discharge can take place (down from the previous period of 12 years).